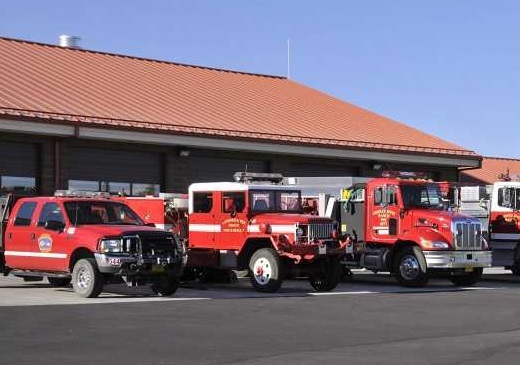 CROOKED RIVER RANCH, OR -- Crooked River Ranch voters will decide in November whether to spend 20 more cents per thousand dollars of assessed value to continue funding the fire district. "It's for staffing, and maintenance of equipment, and facilities. It also helps fund our capital improvements." Fire Chief Harry Ward tells KBND News, "There's been a perception that it's all about our staff, and because of PERS and other things went up. "That's a small part of it." Ward says the district needs up-to-date, working equipment, "We need to have stuff that we can rely on, especially in those situations where somebody's life may depend on the equipment that we have." He says they'll need to replace one of its ambulances in the next 12 to 18 months. "Our current one is almost 10 years old and has almost 100,000 miles on it. With our replacement plan, we want to replace those every so often, so we always have a back up." He admits people who don't call the ambulance very often may not think about what the district does with their tax dollars, "Sooner or later, I think all of us has had to call an ambulance or call for the fire department or the police department; and those services are here and I think we do a great job." CRR property owners currently pay a permanent tax rate of $1.83 per $1,000 of assessed value. The current levy due to expire in June of 2019, adds $.69 per $1,000. The 2018 measure would replace that with an $.89 levy for another five years, creating a new total tax rate of $2.72 per $1,000 of assessed property value. "It's so we can provide the best services that we can. We're going to run more calls this year, probably, than we ever have." For more on the measures included on the November ballot, visit our Elections 2018 page.